Engadget: Microsoft airs its first Surface tablet ad, focuses on keyboard, kickstand and... dancers? 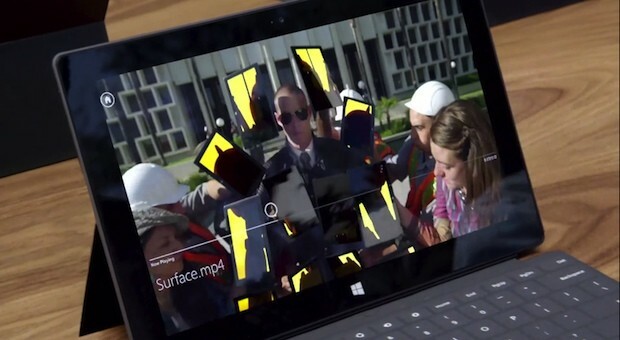 Microsoft airs its first Surface tablet ad, focuses on keyboard, kickstand and... dancers? Considering how interested we are in trying out Microsoft's new Surface Windows 8 tablets, it turns out we should've been practicing the art of dance instead of blogging. The first TV spot for the tablets aired tonight during Dancing with the Stars, fitting, since it featured an entire troupe of dancers and was directed by Jon Chou, best known for his work on flicks like the Step Up series and Justin Bieber: Never Say Never. While it didn't expose any deep details about the hardware, its potential pricetag or the software running on it, it appears Microsoft will separate itself from the pack based on that slick Type Cover and kickstand. Check out the minute-long spot itself embedded after the break and let us know if you spot any new information about the slate. Continue reading Microsoft airs its first Surface tablet ad, focuses on keyboard, kickstand and... dancers? Microsoft airs its first Surface tablet ad, focuses on keyboard, kickstand and... dancers? originally appeared on Engadget on Mon, 15 Oct 2012 23:24:00 EDT. Please see our terms for use of feeds.